Custom unique 3 stone wedding anniversary ring with your choice of diamonds or gemstones in 14k, 18k white, yellow or rose gold and platinum matte finish wedding band. This unique wedding anniversary ring showcases beautiful waved folding texture with three brilliant sapphires set in the 14k gold satin finish wedding band. This unique wedding anniversary ring showcases beautiful waved folding texture with three brilliant sapphires set in the 14k gold hammered finish wedding band. This unique wedding anniversary ring showcases beautiful waved folding texture with three brilliant sapphires set in the 14k gold brushed finish wedding band. This unique wedding anniversary ring showcases beautiful waved folding texture with three brilliant sapphires set in the 14k gold shiny finish wedding band. This unique wedding anniversary ring showcases beautiful waved folding texture with three brilliant sapphires set in the 18k gold satin finish wedding band. This unique wedding anniversary ring showcases beautiful waved folding texture with three brilliant sapphires set in the 18k gold hammered finish wedding band. This unique wedding anniversary ring showcases beautiful waved folding texture with three brilliant sapphires set in the 18k gold brushed finish wedding band. This unique wedding anniversary ring showcases beautiful waved folding texture with three brilliant sapphires set in the 18k gold shiny finish wedding band. This unique wedding anniversary ring showcases beautiful waved folding texture with three brilliant sapphires set in the platinum satin finish wedding band. This unique wedding anniversary ring showcases beautiful waved folding texture with three brilliant sapphires set in the platinum hammered finish wedding band. This unique wedding anniversary ring showcases beautiful waved folding texture with three brilliant sapphires set in the platinum brushed finish wedding band. This unique wedding anniversary ring showcases beautiful waved folding texture with three brilliant sapphires set in the platinum shiny finish wedding band. This unique wedding anniversary ring showcases beautiful waved folding texture with three brilliant pink sapphires set in the 14k gold satin finish wedding band. This unique wedding anniversary ring showcases beautiful waved folding texture with three brilliant pink sapphires set in the 14k gold hammered finish wedding band. This unique wedding anniversary ring showcases beautiful waved folding texture with three brilliant pink sapphires set in the 14k gold brushed finish wedding band. This unique wedding anniversary ring showcases beautiful waved folding texture with three brilliant pink sapphires set in the 14k gold shiny finish wedding band. This unique wedding anniversary ring showcases beautiful waved folding texture with three brilliant pink sapphires set in the 18k gold satin finish wedding band. This unique wedding anniversary ring showcases beautiful waved folding texture with three brilliant pink sapphires set in the 18k gold hammered finish wedding band. This unique wedding anniversary ring showcases beautiful waved folding texture with three brilliant pink sapphires set in the 18k gold brushed finish wedding band. This unique wedding anniversary ring showcases beautiful waved folding texture with three brilliant pink sapphires set in the 18k gold shiny finish wedding band. 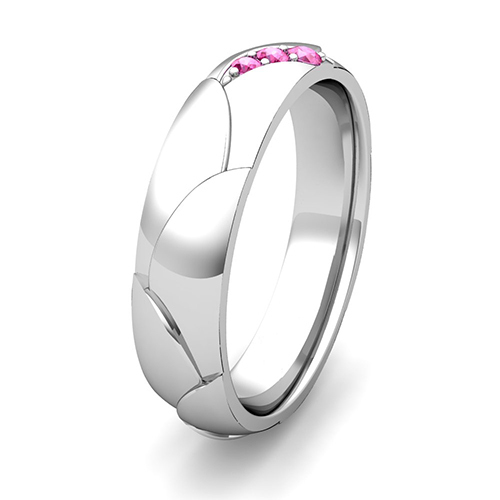 This unique wedding anniversary ring showcases beautiful waved folding texture with three brilliant pink sapphires set in the platinum satin finish wedding band. This unique wedding anniversary ring showcases beautiful waved folding texture with three brilliant pink sapphires set in the platinum hammered finish wedding band. This unique wedding anniversary ring showcases beautiful waved folding texture with three brilliant pink sapphires set in the platinum brushed finish wedding band. This unique wedding anniversary ring showcases beautiful waved folding texture with three brilliant pink sapphires set in the platinum shiny finish wedding band. This unique wedding anniversary ring showcases beautiful waved folding texture with three brilliant yellow sapphires set in the 14k gold satin finish wedding band. 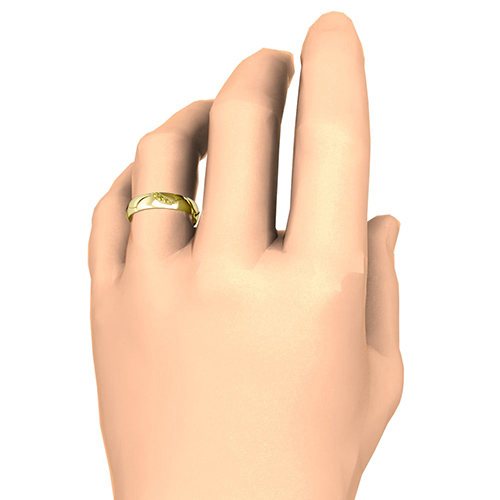 This unique wedding anniversary ring showcases beautiful waved folding texture with three brilliant yellow sapphires set in the 14k gold hammered finish wedding band. This unique wedding anniversary ring showcases beautiful waved folding texture with three brilliant yellow sapphires set in the 14k gold brushed finish wedding band. This unique wedding anniversary ring showcases beautiful waved folding texture with three brilliant yellow sapphires set in the 14k gold shiny finish wedding band. This unique wedding anniversary ring showcases beautiful waved folding texture with three brilliant yellow sapphires set in the 18k gold satin finish wedding band. This unique wedding anniversary ring showcases beautiful waved folding texture with three brilliant yellow sapphires set in the 18k gold hammered finish wedding band. 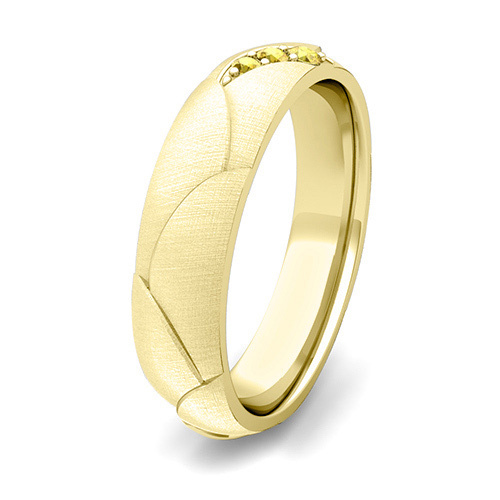 This unique wedding anniversary ring showcases beautiful waved folding texture with three brilliant yellow sapphires set in the 18k gold brushed finish wedding band. This unique wedding anniversary ring showcases beautiful waved folding texture with three brilliant yellow sapphires set in the 18k gold shiny finish wedding band. This unique wedding anniversary ring showcases beautiful waved folding texture with three brilliant yellow sapphires set in the platinum satin finish wedding band. This unique wedding anniversary ring showcases beautiful waved folding texture with three brilliant yellow sapphires set in the platinum hammered finish wedding band. This unique wedding anniversary ring showcases beautiful waved folding texture with three brilliant yellow sapphires set in the platinum brushed finish wedding band. This unique wedding anniversary ring showcases beautiful waved folding texture with three brilliant yellow sapphires set in the platinum shiny finish wedding band. This unique wedding anniversary ring showcases beautiful waved folding texture with three brilliant rubies set in the 14k gold satin finish wedding band. This unique wedding anniversary ring showcases beautiful waved folding texture with three brilliant rubies set in the 14k gold hammered finish wedding band. This unique wedding anniversary ring showcases beautiful waved folding texture with three brilliant rubies set in the 14k gold brushed finish wedding band. This unique wedding anniversary ring showcases beautiful waved folding texture with three brilliant rubies set in the 14k gold shiny finish wedding band. This unique wedding anniversary ring showcases beautiful waved folding texture with three brilliant rubies set in the 18k gold satin finish wedding band. This unique wedding anniversary ring showcases beautiful waved folding texture with three brilliant rubies set in the 18k gold hammered finish wedding band. This unique wedding anniversary ring showcases beautiful waved folding texture with three brilliant rubies set in the 18k gold brushed finish wedding band. This unique wedding anniversary ring showcases beautiful waved folding texture with three brilliant rubies set in the 18k gold shiny finish wedding band. This unique wedding anniversary ring showcases beautiful waved folding texture with three brilliant rubies set in the platinum satin finish wedding band. This unique wedding anniversary ring showcases beautiful waved folding texture with three brilliant rubies set in the platinum hammered finish wedding band. This unique wedding anniversary ring showcases beautiful waved folding texture with three brilliant rubies set in the platinum brushed finish wedding band. This unique wedding anniversary ring showcases beautiful waved folding texture with three brilliant rubies set in the platinum shiny finish wedding band. This unique wedding anniversary ring showcases beautiful waved folding texture with three brilliant emeralds set in the 14k gold satin finish wedding band. This unique wedding anniversary ring showcases beautiful waved folding texture with three brilliant emeralds set in the 14k gold hammered finish wedding band. This unique wedding anniversary ring showcases beautiful waved folding texture with three brilliant emeralds set in the 14k gold brushed finish wedding band. This unique wedding anniversary ring showcases beautiful waved folding texture with three brilliant emeralds set in the 14k gold shiny finish wedding band. This unique wedding anniversary ring showcases beautiful waved folding texture with three brilliant emeralds set in the 18k gold satin finish wedding band. This unique wedding anniversary ring showcases beautiful waved folding texture with three brilliant emeralds set in the 18k gold hammered finish wedding band. This unique wedding anniversary ring showcases beautiful waved folding texture with three brilliant emeralds set in the 18k gold brushed finish wedding band. This unique wedding anniversary ring showcases beautiful waved folding texture with three brilliant emeralds set in the 18k gold shiny finish wedding band. This unique wedding anniversary ring showcases beautiful waved folding texture with three brilliant emeralds set in the platinum satin finish wedding band. This unique wedding anniversary ring showcases beautiful waved folding texture with three brilliant emeralds set in the platinum hammered finish wedding band. This unique wedding anniversary ring showcases beautiful waved folding texture with three brilliant emeralds set in the platinum brushed finish wedding band. This unique wedding anniversary ring showcases beautiful waved folding texture with three brilliant emeralds set in the platinum shiny finish wedding band. This unique wedding anniversary ring showcases beautiful waved folding texture with three brilliant diamonds set in the 14k gold satin finish wedding band. 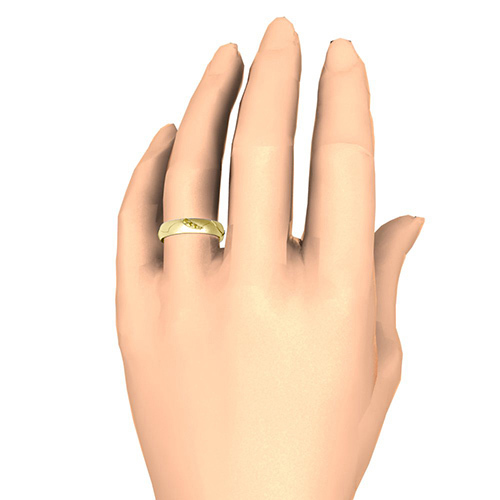 This unique wedding anniversary ring showcases beautiful waved folding texture with three brilliant diamonds set in the 14k gold hammered finish wedding band. 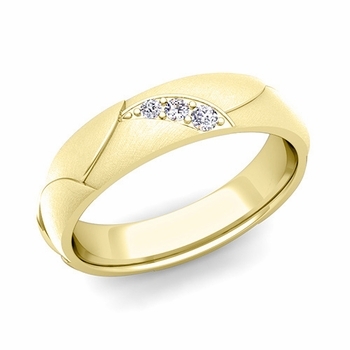 This unique wedding anniversary ring showcases beautiful waved folding texture with three brilliant diamonds set in the 14k gold brushed finish wedding band. 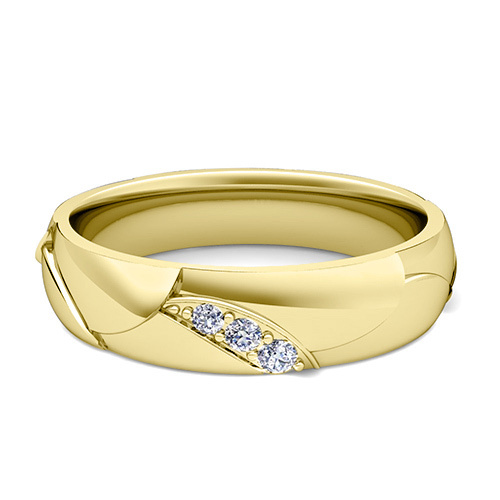 This unique wedding anniversary ring showcases beautiful waved folding texture with three brilliant diamonds set in the 14k gold shiny finish wedding band. This unique wedding anniversary ring showcases beautiful waved folding texture with three brilliant diamonds set in the 18k gold satin finish wedding band. This unique wedding anniversary ring showcases beautiful waved folding texture with three brilliant diamonds set in the 18k gold hammered finish wedding band. This unique wedding anniversary ring showcases beautiful waved folding texture with three brilliant diamonds set in the 18k gold brushed finish wedding band. This unique wedding anniversary ring showcases beautiful waved folding texture with three brilliant diamonds set in the 18k gold shiny finish wedding band. This unique wedding anniversary ring showcases beautiful waved folding texture with three brilliant diamonds set in the platinum satin finish wedding band. This unique wedding anniversary ring showcases beautiful waved folding texture with three brilliant diamonds set in the platinum hammered finish wedding band. This unique wedding anniversary ring showcases beautiful waved folding texture with three brilliant diamonds set in the platinum brushed finish wedding band. This unique wedding anniversary ring showcases beautiful waved folding texture with three brilliant diamonds set in the platinum shiny finish wedding band. This unique wedding anniversary ring showcases beautiful waved folding texture with three brilliant black diamonds set in the 14k gold satin finish wedding band. This unique wedding anniversary ring showcases beautiful waved folding texture with three brilliant black diamonds set in the 14k gold hammered finish wedding band. This unique wedding anniversary ring showcases beautiful waved folding texture with three brilliant black diamonds set in the 14k gold brushed finish wedding band. This unique wedding anniversary ring showcases beautiful waved folding texture with three brilliant black diamonds set in the 14k gold shiny finish wedding band. This unique wedding anniversary ring showcases beautiful waved folding texture with three brilliant black diamonds set in the 18k gold satin finish wedding band. This unique wedding anniversary ring showcases beautiful waved folding texture with three brilliant black diamonds set in the 18k gold hammered finish wedding band. This unique wedding anniversary ring showcases beautiful waved folding texture with three brilliant black diamonds set in the 18k gold brushed finish wedding band. This unique wedding anniversary ring showcases beautiful waved folding texture with three brilliant black diamonds set in the 18k gold shiny finish wedding band. This unique wedding anniversary ring showcases beautiful waved folding texture with three brilliant black diamonds set in the platinum satin finish wedding band. This unique wedding anniversary ring showcases beautiful waved folding texture with three brilliant black diamonds set in the platinum hammered finish wedding band. This unique wedding anniversary ring showcases beautiful waved folding texture with three brilliant black diamonds set in the platinum brushed finish wedding band. This unique wedding anniversary ring showcases beautiful waved folding texture with three brilliant black diamonds set in the platinum shiny finish wedding band.